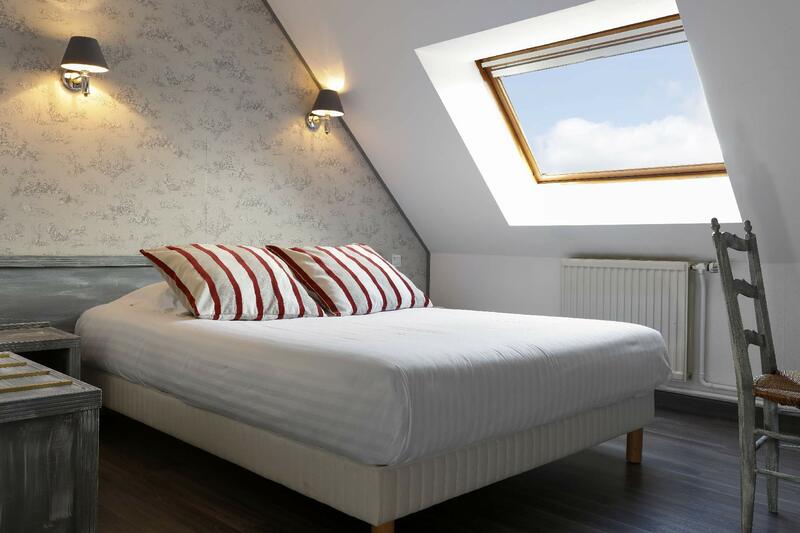 Perfect for solo holidays or business trips, this single room offers a light and elegant setting. It includes a bright and functional bathroom with shower or bathtub. It also comes equipped with free WiFi access, flat-screen satellite TV, direct telephone, quality bedding, desk, safe, hairdryer, courtesy tray and welcome products. 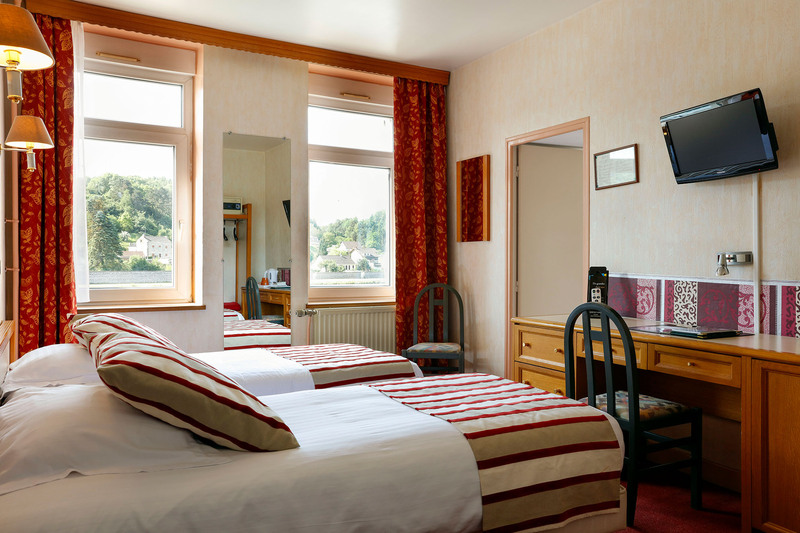 This room for two people, with a choice of either double or twin beds, is perfect for a holiday or company retreat in the Ardennes. It includes a bright and functional bathroom with shower or bathtub. Cots and additional beds are available on request. Located in a calm location amid the town’s pedestrianised streets, Le Val Saint Hilaire has 20 personalised rooms between 12 and 15 m², each one renovated and suitably equipped. 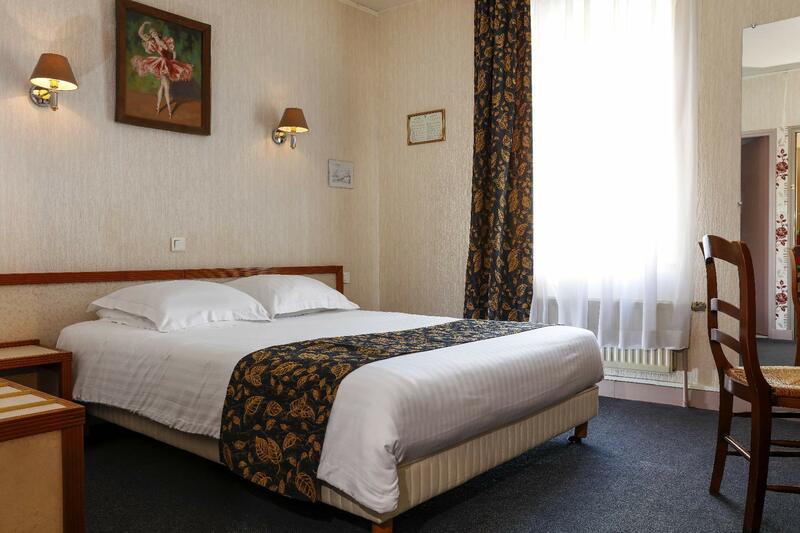 With views over the Meuse or the hotel’s garden, they combine modern comfort with the area’s traditional charm. To start your day right, enjoy a hearty and varied breakfast in our dining room, or in the garden in summer.